Effective contract management is key to the success of any business, whether a small- to medium-sized enterprise or a globe-spanning multinational. The smooth linking of every step in a contractual relationship with suppliers or end customers will ensure that a clear overview is available at each and every stage of the process. There are a number of simple adjustments to the overview of contract management that can ensure problems are avoided or spotted at an early stage, which means disruption is minimised. 1. There is one piece of modern technology increasingly being used by companies to ensure contract management is keeping abreast in a fast-moving commercial world. Investment in this software, which is available from providers such as Supplier Management Software company Contractswise, can prove to be one of the most important steps in improving your contract oversight. 2. Contractual compliance will involve signatories in different departments at each stage of the process. Ensure that the appropriate individuals are aware of their involvement at various stages of the contract and their own responsibilities. This will ensure the process is carried out in an efficient manner. 3. Identifying the documents needed to sign off each stage of the contract will ensure that the agreement evolves efficiently. Individuals must be aware of what needs to be bundled together before signing off their stage; again, technology can ensure this is seen through effectively. 4. 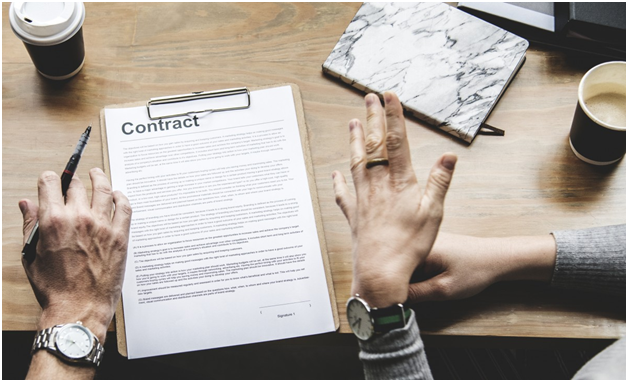 Once departmental representatives understand their roles, it is important that they also understand the prior and future stages of the contract and with whom they must liaise to ensure the stage-to-stage management of the contract is carried out smoothly. A clear understanding of the whole contract is vital if they are to negotiate well with their counterparts on the other side of the contract. 5. As penalties may apply in a contract, ensuring each part of the contract runs to time is essential. Having a schedule for reviewing, revising and signing off different sections of the agreement will help to avoid any problems. Technology will help, and having a clear schedule detailing responsibilities and deadlines will help to smooth the process. Advice on contract management is available from the Chartered Institute of Purchasing and Supply. These steps will help to define roles and improve contract management. « Previous Article Making the most out of the visuals in your business.